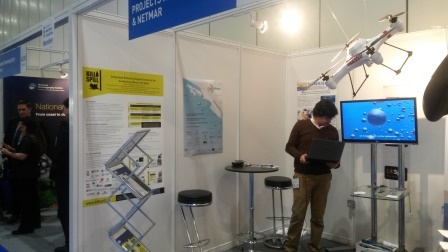 The Kill•Spill project shared a booth with the netmar project as the 2016 edition of Oceanology International, the world's premier event for marine science and ocean technology. The project approach attracted some attention from near east oil company representatives, marine scientist and media alike. The event was also perfect to liaise with the Oceans of Tomorrow initiative.